Most of us live a life of unprecedented abundance. No matter what our income level, walls of security and distraction inevitably insulate us from the poor or anyone else who might threaten our comfortable life. Yet despite our trappings of wealth—or perhaps because of them—we continue to experience a spiritual hunger for something deeper and more meaningful. In a surprising solution to that hunger, Jesus invites us to utilize our wealth and our talents to create Kingdom relationships, beginning right in our own communities. To tear down the walls, both literal and cultural, separating God’s children in our neighborhoods and across the globe. To experience a life of joy and fulfillment. In Junkyard Wisdom, Roy Goble shares what’s waiting for us on the other side of complacency: an abundant future we can only reach together. What does it mean to love God and to love my neighbor in the twenty-first century? 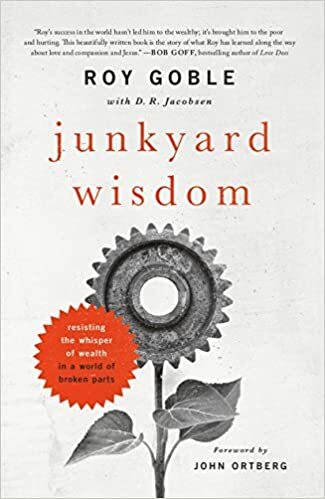 Junkyard Wisdom steers clear of easy answers and empty platitudes, inviting us instead into a fuller, truer Jesus-following life by wrestling with the very real challenges of our world and our lives—and the tremendous opportunities for hope-filled, life-changing relationships that are right in front of us. I’m so grateful to Roy Goble for this much needed reminder. There were a good few moments as I was reading the book when I felt like I’d been punched in the gut—in a good way. Sometimes we need those burrs to stir us from our complacency and comfort. If you have ever wondered how to navigated the tension of wealth and poverty, and what it looks like to steward resources well, this book is for you. A. I’d say they got it half right. Anything God gives us as a blessing is to be used for God’s glory. Doesn’t matter if it is a great singing voice, the ability to throw a football, or a knack with computer code. So yes, at times, wealth can be enjoyed, just as any gift from God is enjoyed. But to think of it as something that is merely our own is to turn it into something ugly and selfcentered. 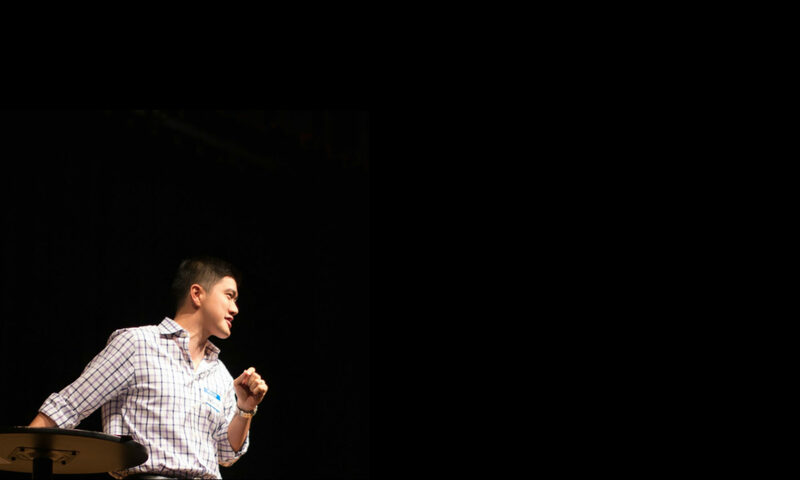 We have to see the wealth as God’s, not ours, so we can utilize it in a way that honors God. A. Again, they are half right. Wealth most certainly can get in the way of following Jesus if we misuse it, misunderstand its importance, or begin to think it is ours. But wealth can also draw us closer to God is we utilize it in accordance with His will, and if we understand it is God’s wealth, not our own. Q. How did your upbringing shape how you understand wealth and following Jesus? A. For the first 12-years of my life I lived in a classic American middle-class suburb. Rode my bike to school, played with the neighborhood kids, and had the whole “Leave it to Beaver” simplicity going on. On Saturdays and most summers, however, my Dad took me to the junkyard to work. It was greasy, dirty, and filled with a motley group of characters. And on Sundays we went to a dynamic church, all dressed in our finest. It was, to say the least, a broad range of experiences for a kid. Then when I was 12 we bought a cattle ranch and I moved there, which was quite different from the suburban home. All of this brought me in contact with a wide range of people, from different backgrounds, different faith traditions, different languages and different values. It broke down those walls we talked about earlier and gave me a unique ability to feel comfortable in a wide range of places. I’ve often said that I want to feel equally comfortable at a black tie event as I do sleeping on the floor in a village hut. Truth is, I feel equally uncomfortable in those places! Q. Why is the book called “Junkyard Wisdom”? Because with all due respect to Robert Fulgham, all I ever really needed to know I learned in a junkyard! No, that’s not really true of course, but I learned so much working in the junkyard it seemed a good title for the book. The junkyard introduced me to what we might call the seedier side of society as it also propelled me into wealth and experiences I could’ve never imagined! So the book, in many ways, reflects the shaping of my understanding of the world, wealth, and faith, as it all stemmed from the junkyard. The wisdom part? Well, hopefully there is some of that in the book, but I’ll let the reader decide. Thanks to Roy for the interview and the book. 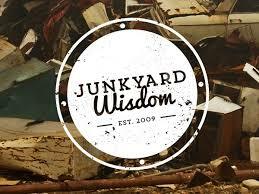 Junkyard Wisdom is out this week; go check it out.